Don’t let leg cramps slow you down and make you take a back seat in your day to day work. 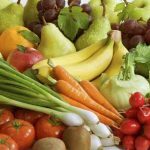 Leg cramps show that you are running low on potassium , calcium and magnesium levels. Leg cramps could be much annoying especially at night. These could be even due to muscle sprain and spasms, and vigorous exercises. Let this versatile ingredient Apple Cider Vinegar (ACV) help you get a peaceful and ache free sleep. ACV, made from Fermented apple extracts, is rich in potassium, magnesium and many other minerals which have a large say on your muscle strength. 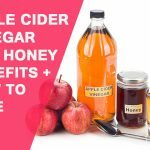 How to Take Apple Cider Vinegar for Leg Cramps? Being a traditional folklore ingredient, its benefits are known wide and propagated by many for its healing nature. Combining ACV with other natural ingredients works even well. Read on to find the various ways of using ACV to treat Leg cramps. Let’s start with the basic ingredients. 1 teaspoon of ACV can be diluted in a glass of water. Consume this solution every day, until you get a relief from the leg cramps. ACV can also be mixed with variety of fruit juices. In this case replace the quantity of water with fruit juice. ACV’s has a sour taste. Hence, a slight variation in the above recipe, to make it taste better. To the above recipe stir in 2 teaspoons of honey and consume. Apart from the various healing benefits that ACV offers, it can add good tanginess and brightness to your favorite salads. Hence this is another alternative for you cover up on your potassium and essential nutrients level, vital for your muscle strength. Use ACV as a salad dressing instead of white vinegar. Solution for warm compress can be made by diluting a cup of ACV into 2 cups of water. Use a clean towel, to soak in this mixture and use it as a compress to the affected area. This will ensure increased circulation to the muscle and ease leg cramps. Warm water will help relax the muscles and also relieve the muscle cramps. Take this ACV bath option in the evening soothes and calms the muscles. For this, fill your bath tub with warm water and add 2 cups full of ACV to the tub. Soak yourself in this warm ACV water for 30 mins and see the difference! Try these ACV recipes and bid bye to the painful leg cramps. Eat right and healthy, as this will provide all essential nutrients for your body and the muscle strength. Stay fit, and Take care! Keep your body hydrated with plenty of water intake, leg cramps could also be due to lack of water and dehydration. Don’t over exert your body with too much of exercise. This may cause muscle spasms too. Take a warm bath, as it soothes and relaxes your aching muscles. In case the pain is persistent then it is advised to consult a doctor. Leg cramps and spasms could also be due to a muscle injury. Get yourself examined and take a doctor’s appointment. Do a bit of stretching exercises to prevent cramps. But never give a over dose of these exercises, as this will again do more harm than good. Leg cramps could also be caused due to certain medications. Hence consult with your doctor and change your prescriptions if advised and necessary. We hope these remedies help curb your leg cramp problem. Lack of water in the body or dehydration is usually a major cause of cramps. Hence we suggest everyone to drink ample water on a daily basis to avoid cramping of muscles and being all fit and healthy. 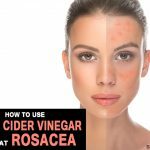 How to Use Apple Cider Vinegar to Remove Skin Tags at Home Fast?